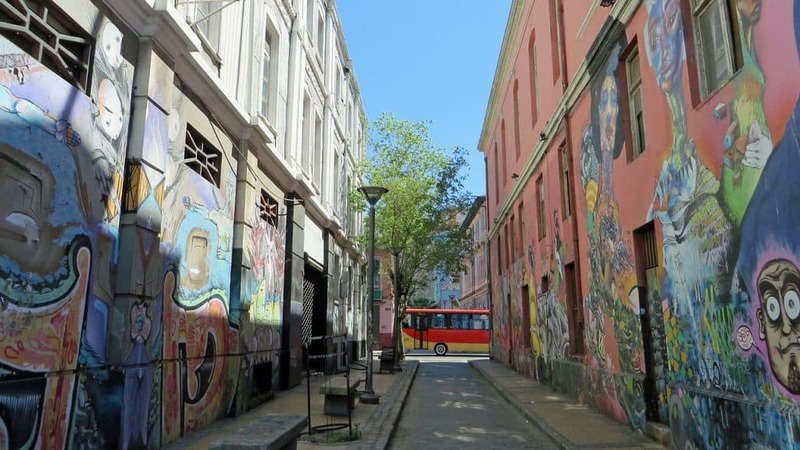 There are so many things to do in Valparaiso Chile but most people go to Valparaiso on a day trip from Santiago or as a cruise stop. 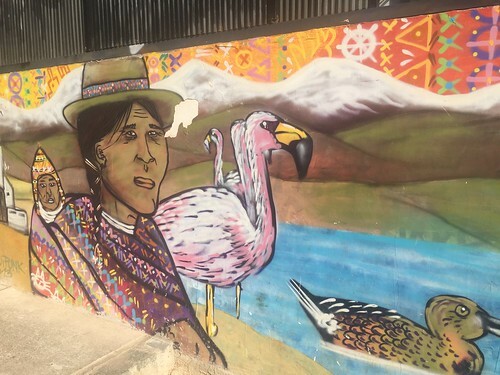 But I think Valparaiso is worth a couple day visit and I wanted to slow down my travels and chill so I spent three days in this eccentric little place. You can take the bus from Santiago and it is 1.5 hours to Valparaiso and it costs around 4,000 pesos each way ($8). My first stop on my trip was to Altamira Brewery. This is a really cool brewery that keeps with tradition and is brewing the beers brought over by the British when Valparaiso was a major port. It is the perfect combination of beer and gastronomy. I can highly recommend the CHORRILLANA which is Chilean street food or more like a junk food they eat when they drink. Chorrillana is fries topped with beef, cheese and onion and its delicious! After my brewery tour it was finally time to check in to my hotel for the night, the Winebox Hotel. Run by a fellow Kiwi, Grant, the hotel is constructed from 25 recycled shipping containers, insulated from recycled materials and the furniture is also made from recycled materials. How cool is that? And then add in the fact the hotel is decorated in street art and it really makes it a unique place to stay with amazing views over the city. The next morning I spent the day with Philipe from Ecomapu Valparaiso took me around Cerro Bellavista to check out the street art and one of Pedro Nedura’s home (a famous Chilean poet). We walked and we walked up and down those hills! But we check out a lot of street art before having lunch. For lunch we went to Aura’s Restaurant in the hills over looking the city. The speciality is octopus so I had the Pulpo Diablo which was slow roasted Octopus and a glass of Chilean Viognier. So delicious. And then of course for dessert we stumbled upon a macaroon shop where we tasted a few different little cakes. Try the lavender macaroon! The perfect end to a day of walking around the hills. Playa Ancha is the largest hill in Valparaiso and has a third of the population living there as well. Its a residential neighbourhood with the University and Naval buildings there. It is an impressive area to walk around and I had one of the best coffees in Chile at Cafe Republica. It was so good and smooth. And of course next door was the bakery so I picked up the Chilean version of bread pudding for breakfast. The architect of the Californian bungalow is from Chile and he first created them in 1900. They are well built for earthquakes and I found this really interesting because I live in a California Bungalow that was built in 1922. My house survived the earthquake we had in New Zealand in November which was an 8.0 so I know the house is well built. For lunch we were back downtown and I went to Capri Restaurant which was named the number one restaurant for Chilean food. Wow this was good. Get the ravioli, you won’t regret it. They’re filled with meat (of course) and cheese and swiss chard. Delicious. On my last day in the city I took the funicular up to the old city which is a UNESCO World Heritage Site. Valparaíso’s historic quarter is located on Cerro Alegre and Cerro Concepción. If there is only one place you go in Valparaiso this is it. 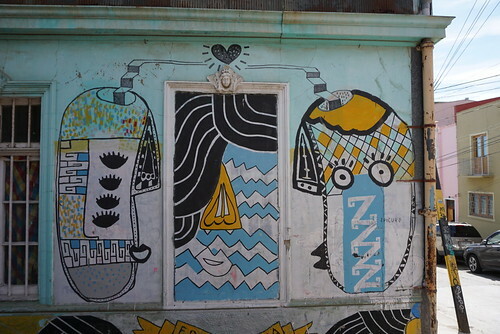 You can walk along the esplanade and up and down the hills to see the street art. Some of the famous ones you’ve probably seen before can be found there. 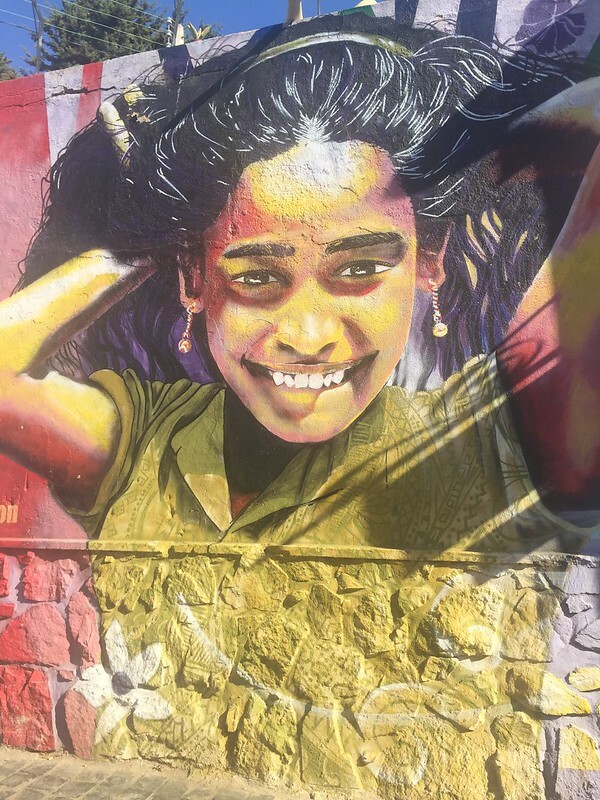 Check out some of my favourite street art. And at the end of the day exploring I went to El Horno de Chile for lunch. Started with ceviche and ended with a lovely seafood stew. Well that covers a lot of Valparaiso! This is a great walking city and there is something to see and do around every corner. 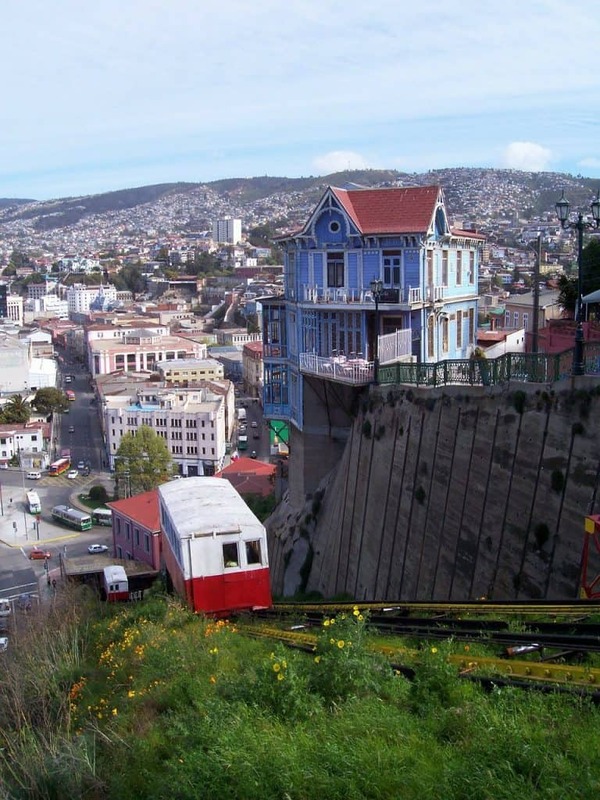 What would you add to this list of things to do in Valparaiso Chile? Many thanks to Turismo Valparaiso for sponsoring my stay in Valparaiso. Like always, all opinions are my own. Sounds like a great place to visit. Your pictures are awesome! Great post! Very informative 🙂 I need to visit the city next time! They have amazing wall art over there! Great place! I love your photos as well. Grandma at the corner street looked so cute!! 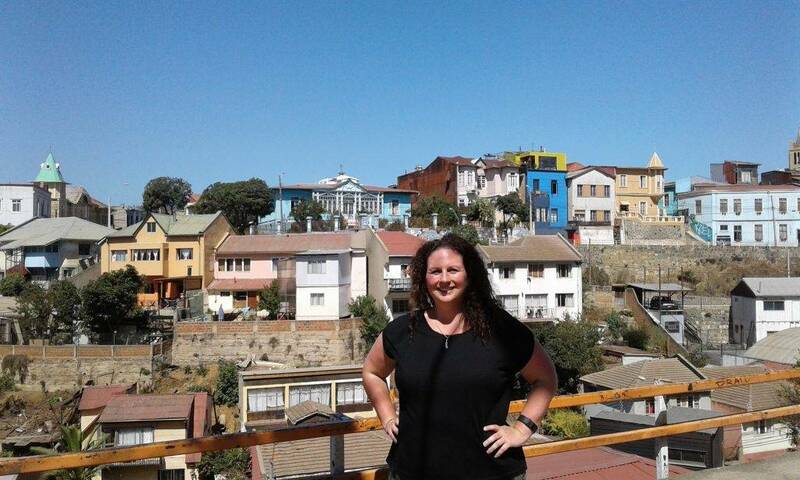 Another beautiful destination, Valparaiso that is! Looks and sounds like my kind of place. Thank you for sharing! Loved Valparaiso. Great food and drink. Stunning scenery and hills to give you a little exercise. Can’t wait to go back. 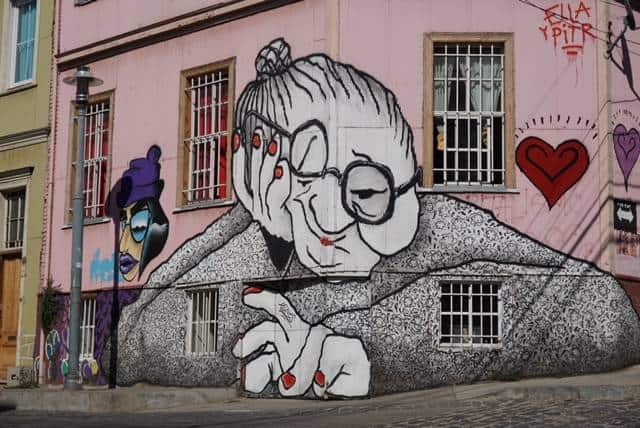 I am excited to get to Valparaiso just for the street art. Now I have some great food options as well.